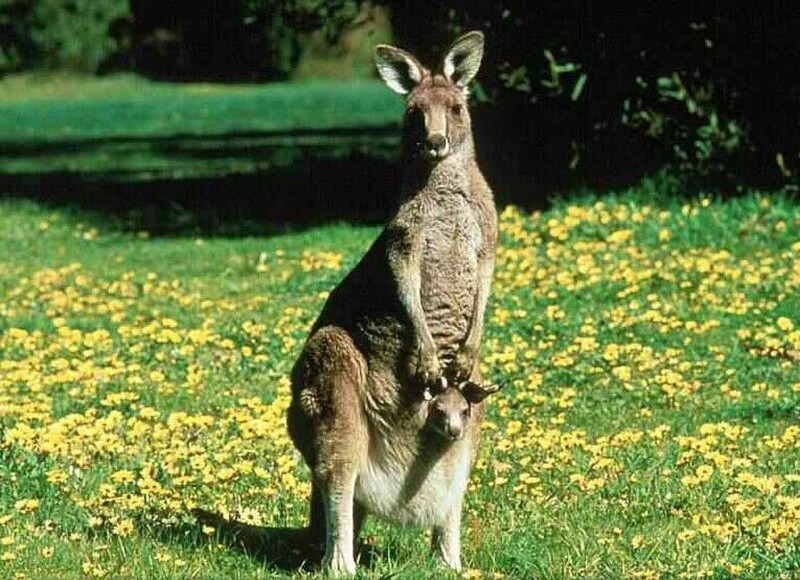 The kangaroos are marsupials which belong to same family as the koalas. They are mainly present in Australia. Kangaroos are particular animals, especially because of their way of walking: they hop and their tail permits them to balance their body. Thanks to this feature, they are able to reach the speed of 55km/h and the high of 3 meters. Kangaroos are used to be found in desert and grass lands. It provides them protection and security: the aridity of the Australian landscape protects them from predators. Unfortunately, their main threat was, and still is, the human beings, by destroying their natural habitat and polluting their biotope. One of the main dangers is the road traffic that prevents them to cross the roads safely. Furthermore, lots of kangaroos, which are nocturnal, are often hit by cars during the night, and killed. When they feel threatened or when they are afraid, they might sometimes attack the car occupants, to protect themselves. Other factors also cause the kangaroos’ decreasing: in period of drought, they take refuge in farms to find food, where they get killed by the inhabitants. Considering that the kangaroos are herbivorous, humans destroy them to keep the grass free for cattle (as sheep or cows). Kangaroo’s meat is also very popular and enjoyed by millions of people around the world. The Australian society for Kangaroos demands a greater protection for kangaroos because their number is decreasing and they are almost extinct. Their urgent request is a response to the huge industrialized commercialization of kangaroo meat. 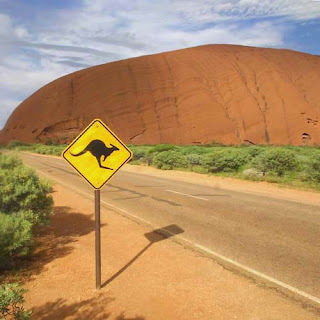 It is not a chance that the Kangaroo is a part of the Australian culture and a symbol of the country. Actually, Australia is the main place where kangaroos grow and live. The first image people get when they think about Australia is the one with the cute kangaroo. Moreover, the kangaroo is represented in Australia in many ways: mascots for sporting teams, logos for airline companies, and most of the Australian brands use the kangaroo as a national symbol. In addition, there are lots of films, television programs, toys, and souvenirs that are in effigy of the kangaroo, which strengthen the symbolization of the animal. From a historical viewpoint, kangaroos have been the source of the survival of Australia’s Indigenous peoples. The Aboriginals used to hunt the marsupials, ate their meat and used their skin to make clothes. Another reason why the kangaroo is a typical icon of the Australian culture is that they attract millions of people in Australia. Indeed, tourists are coming in the country to meet this cute and loving animal, even if kangaroos are shy and try to keep away from humans. To conclude, while this cute animal is often the victim of human activity that affects its environment, the kangaroo does not really influence the human way of living. They rather live separately from people and do not attack them, except if they feel threatened. 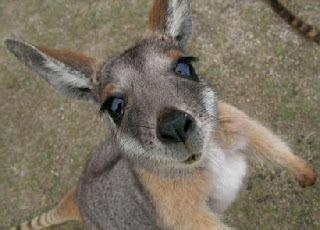 The kangaroo is actually said to be lovely... this animal is indigenous to Australia and is known all around the world. It constitutes the greatest icon of Australia, and to some extent, of the Australian culture. This article is atrocious. So much misinformation. I found the "destruction of habitat" and "almost extinct" bits particularly amusing. Being Australian, i can tell you, humans havnt put a smuge on their habitat. We're mostly interested in the coast - they are happy with desert. They are largely fine as far as habitat. And for gods sake, Kangaroo's outnumber humans in australia by 3:1. there are 58.9 million kangaroo's to only 22 millions humans. People - dont believe a thing in this article. Also, that is not a kangaroo in the last picture. That is a yellow footed rock wallaby.